I know I’m a day late with this 10 on 10 post, but it’s my birthday week and I’ll post when I want to (in between cake!) It’s been a busy old month because al though I was out of the kitchen for almost all of the month of June, I certainly made up for the time I missed before I went overseas and since I’ve come home. Here’s what’s been cooking in my kitchen! My friend Leda makes the most fantastic food. I think she’d be really good on that Ready Steady Cook TV programme because you can give her any number of random ingredients and she can make something utterly delicious out of them! 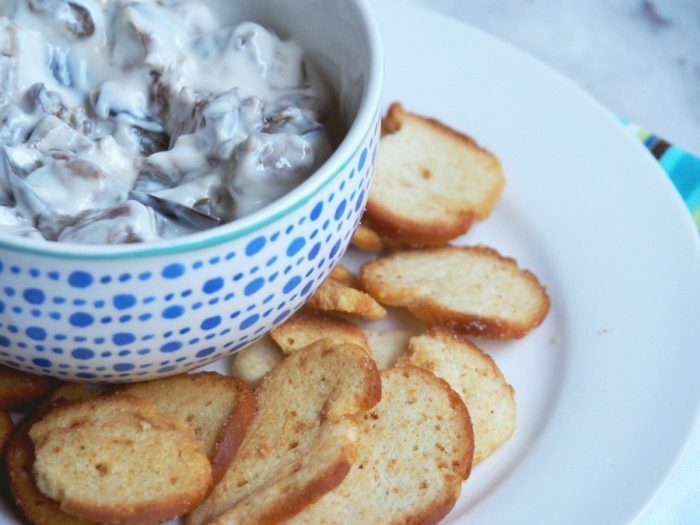 Leda’s 4 ingredient Eggplant Tzatziki is proof of that, it’s quick, easy and a really delicious twist on regular tzatziki. Luckily, David is anti-eggplant so I didn’t have to share which suits me just fine! Before I left for the UK, I had a flu that I couldn’t fix and lots of vegetables that I hadn’t eaten. After a week long course of self prescribed Auntie Sandra’s Chicken Soup, I moved on to vegetable varieties and this Thermomix Potato and Zucchini Soup really hit the spot. Given that there’s no cream in the ingredients list, it’s surprisingly thick and creamy and green but not mean. 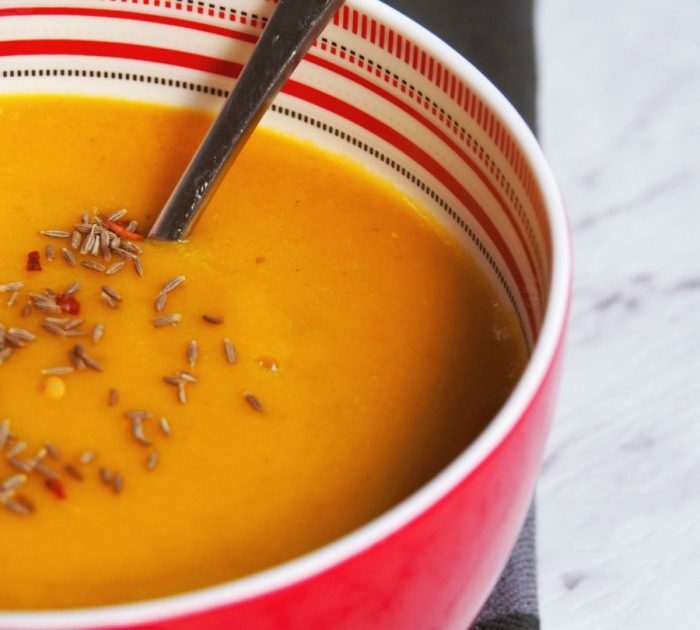 Working my way through the vegetable crisper, I converted this Spiced Carrot and Lentil Soup to the Thermomix and loved it so much I made it on the stove too. It’s a bit thicker when made on the stove but can be easily thinned out with coconut milk which takes the taste to great new heights! The spices in the soup are dry roasted before cooking and I especially loved the sprinkling of roasted spices on the top. Nom nom! I’m a big fan of batch cooking and bolognese in bulk is my speciality. I like to think out of the spaghetti bolognese box and in this recipe, I take my Italian bolognese and make Mexican magic. 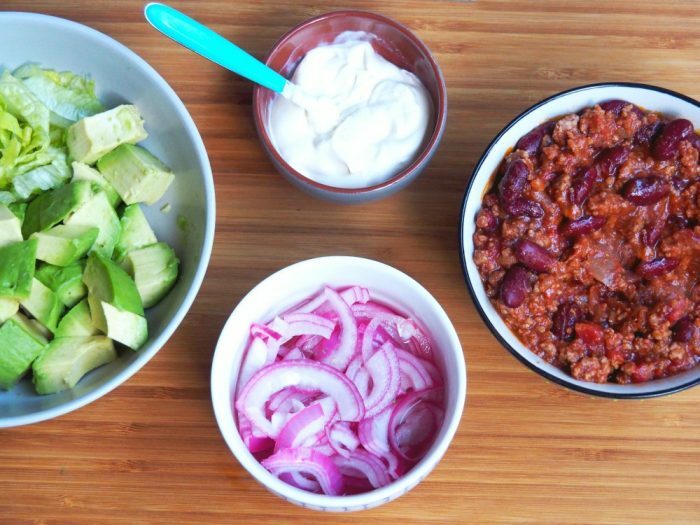 These Speedy Beef Chilli Tacos are quick, easy, wholesome and a whole lot of yum! Pears are so in right now and I just can’t stop making and baking with them. 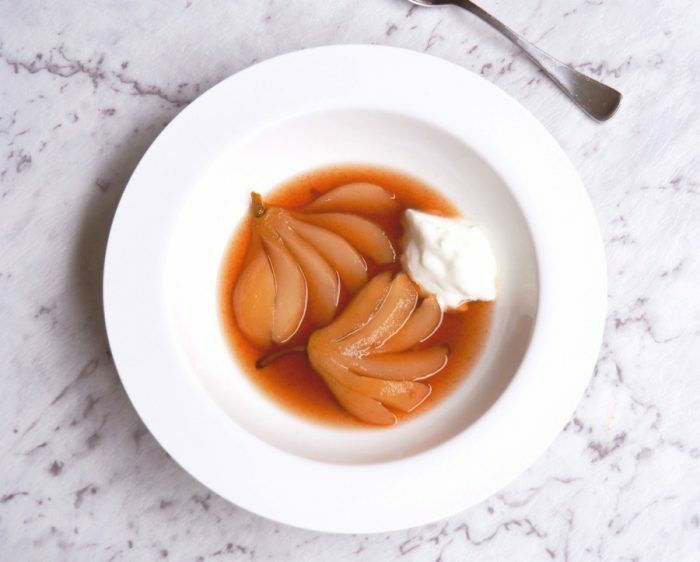 First up are these Slow Cooker Blushing Pears cooked in port and they are utterly divine! So simple to make but so delicious to eat and low iodine too! Still picking out the pear recipes, these Mini Pear and Spice Cakes are the business! 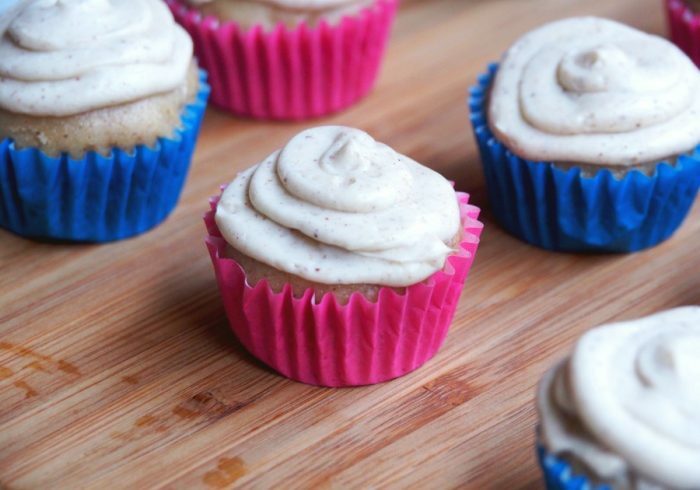 From a relatively small and simple list of ingredients, this recipe yields 24 mini cakes which are delicious eaten with or without the cinnamon cream cheese frosting. And because they’re so small, surely I can eat more of them?! 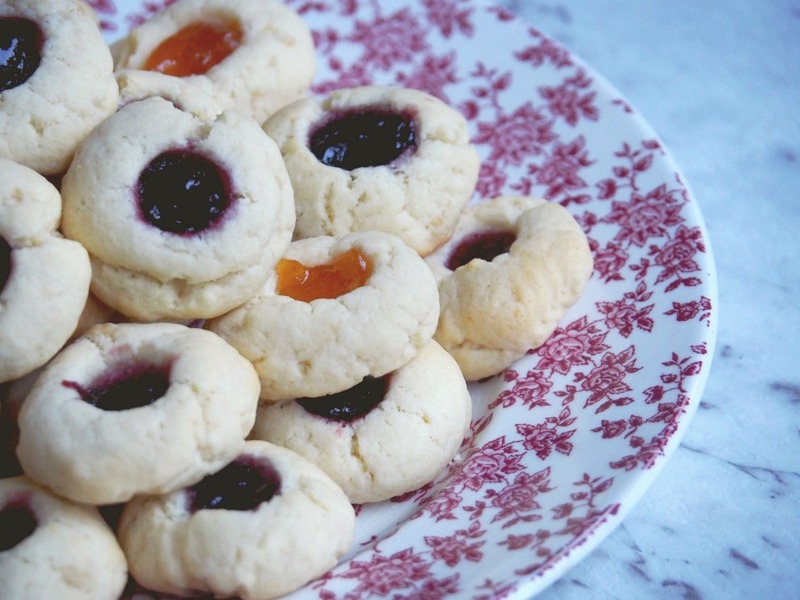 Another recipe with a small outlay but a big yield are these delightful Jam Drops. 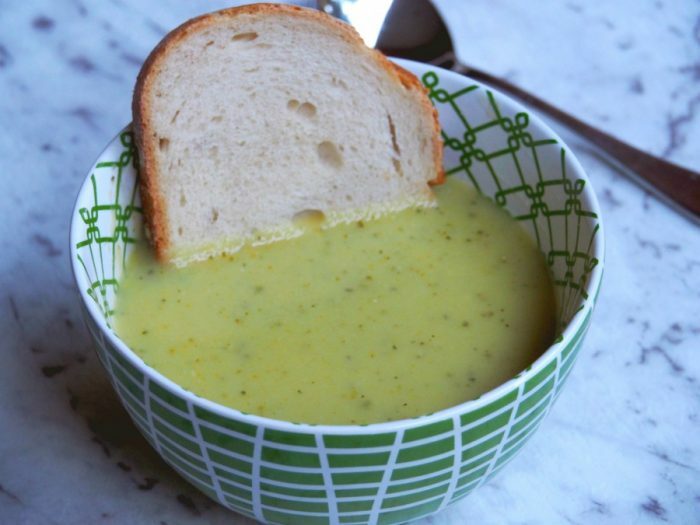 This was one of the first recipes I ever posted and just like the ones Grandma used to make. Not my grandma though, because a) she wasn’t called Grandma, nana was her name and b) her speciality was this delicious bread pudding. These biscuits are sweet, rustic but jammy-licious and in the revamped recipe, I’ve included a Thermomix conversion and some tips for perfect jam drops every single time. 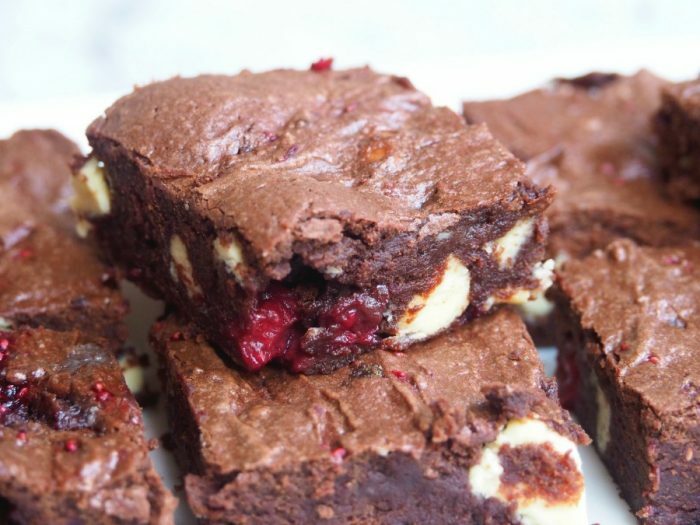 These Double Chocolate and Raspberry Brownies are the business! Two kinds of chocolate makes these twice as nice and doubly delicious and decadent. In this recipe, I toook some new snaps, tweaked the recipe and adapted the original to the Thermomix. 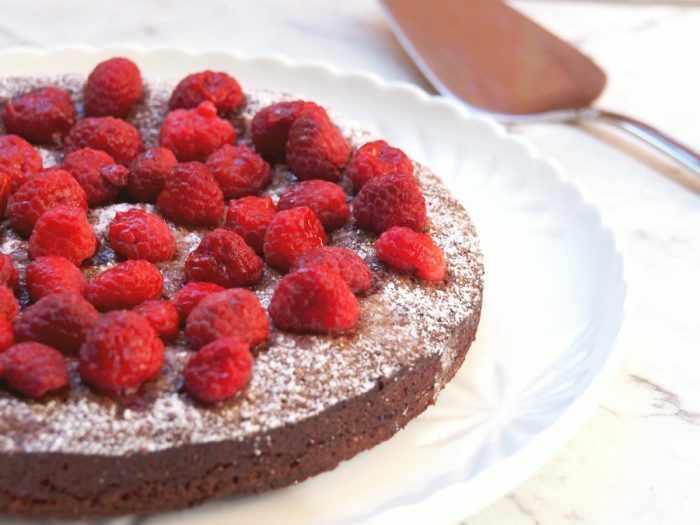 Who can resist this dark, fudgy brownie, white chocolate chunks and juicy raspberries? Not me, that’s for sure! Luckily my friend Rachel had a birthday and everyone knows that a birthday without cake is just a meeting. This was the perfect excuse to get my gluten free bake on with some chocalicious results. This cake definitely has a Triple D rating – it’s dark, decadent and delicious, and most importantly it gets the birthday girl’s seal of approval. 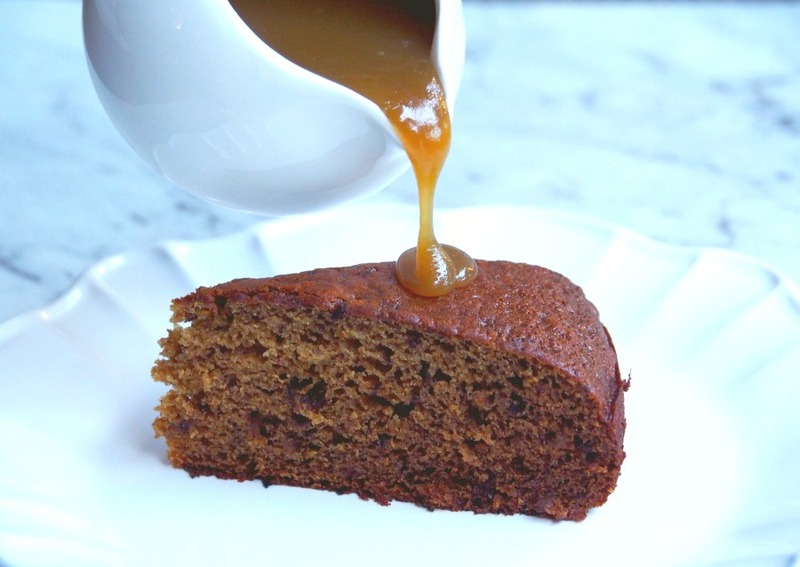 Last but definitely not least is one of my all time favourite desserts, this Sticky Date Pudding. I’ve been making this for years so I don’t know why it’s taken me so long to snap some new photos. This dessert never disappoints. It’s quick, easy and always gets rave reviews. And that sauce… It’s plate-lickingly good! 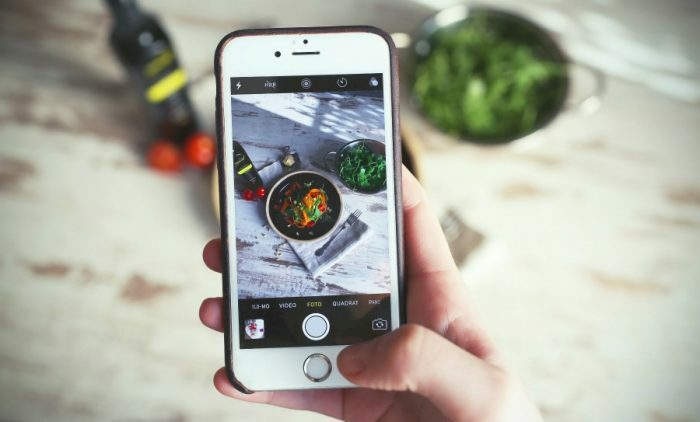 What’s been cooking in your kitchen this month? Are you all about the comfort food too? What’s your all time favourite dessert?